Hans-Werner Braun is a Research Scientist at the University of California San Diego since 1997, and an Adjunct Professor at the San Diego State University's College of Sciences since 2003. His UCSD position is at the San Diego Supercomputer Center, with responsibility for specific networking related projects funded by the National Science Foundation. His current focus is on the High Performance Wireless Research and Education Network (HPWREN) as Principal Investigator. Previously he was also Principal Investigator of the National Laboratory of Applied Network Research (NLANR), with a focus on network measurement and analysis activities. Braun was the Chief Network Architect with the Teledesic Corporation beginning in May 1996. Teledesic's objective was to design a global broadband network for a system of hundreds of low earth orbit satellites. Braun remained a consultant for Teledesic for a few years, after moving back to San Diego to work at UCSD in 1997. Prior to his Teledesic position he began working at SDSC as a Principal Scientist in January 1991, and retained an affiliation as Senior Fellow with the Center while at Teledesic. While at SDSC, he was focusing on National Science Foundation supported efforts for NREN/NII engineering, strategic planning, and network performance related research. 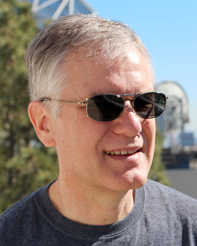 He created and was Project Director for the National Laboratory for Applied Network Research (NLANR), and Principal Investigator on various other NSF awards, including on information/web caching, network analysis, NREN engineering, and interagency ATM connectivity. Between 1983 and 1991 he worked at the University of Michigan and the Merit Computer Network, a Michigan university networking consortium, on networking infrastructure. He became very involved in the early stages of the NSFNET networking efforts, and was the Co-Principal Investigator for the NSFNET backbone project since the 1987 NSFNET award to Merit. While being a Principal Investigator, the NSFNET backbone became the core interconnection network for the Internet, which enabled the Internet commercialization several years later. From 1978 to 1983 he worked as an engineer responsible for the networking activities at the regional computing center of the University of Cologne in Germany, which connected various universities in the state of Northrhine Westfalia.